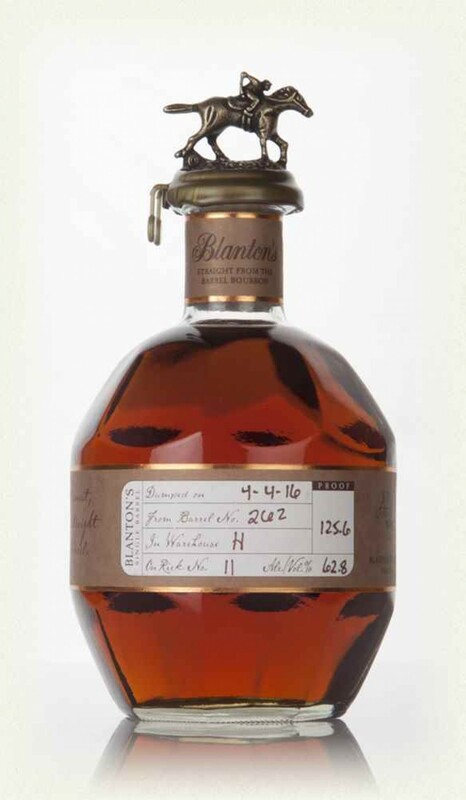 Best of the Blanton's range. This is review of Blanton's straight from the barrel. Barrel #262 62.8% ABV. I tasted it neat in a glencairn glass. Nose: Earth, crème Brulee, fresh corn. It reminds me of a dish made of corn like a cornbread or creamed corn. It’s a really inviting nose that makes me hungry rather than making me want to try it. After a few minutes, it opens up to more typical bourbon notes of wood, sawdust, and spices. There is a presence of alcohol that nips at the nose, but at this abv, that's expected 30min after pouring it in the glass, a strong coffee note hits your nose along with beer mash. This is rather interesting since it’s the first time I’ve smell such a strong and unmistakable coffee note. Reminds me of a coffee stout, since it smells more of coffee grounds than fresh coffee. Taste: initially it’s rather calm on arrival, it gives off the impression that it’s smooth with not much flavor, and then it explodes. Sudden it come on very sweet, woody, and very spicy with a mellow heat. Big Bourbon in body and taste. If you hold it in your mouth past the initial explosion of flavors, it quickly fades into bitter sweet wood with a hint of mint. Once your palate becomes accustomed to the punch of the high abv, then it becomes very drinkable and enjoyable. It’s actually very balanced once it settles down. That extra bit of sweetness that’s missing from standard Blanton’s and the gold version really elevates this Bourbon from average to great. Finish: Bitter wood, earthy, slightly sweet, but dry, with some mint. 5min after swallowing it, you still taste bitter wood and earth tones. This version of Blanton’s is an improvement over most of the range. This, like the Gold version, is an overseas product only. 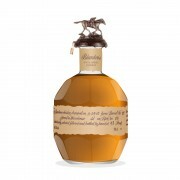 If you’re going to pay for an overseas only version of Blanton’s, get this version instead of the Gold. I’m not saying it’s worth the price because, imo, it isn’t. Better can be had for cheaper in the states. 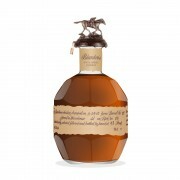 But for an extra $25 on shipping, I think this Bourbon is a better choice than gold. Blantons Straight From The Cask I love this. And I want more. Thanks for a good review and comparison with the Gold, which is something I have been wondering about. You mentioned that SFTB is not worth the price, and better values are to be found in the US. But I paid $70 for my SFTB and find that a good deal! So what better values should I seek out in the states...? @vanPelt You paid a good price. Totally worth $70. Well, as with every Bourbon, the problem is availability. But if you can find Elmer T Lee or perhaps even E.H. Taylor SB at retail, I'd take those over Blanton's straight. Wow, what are the odds I have the exact barrel 262. I traded for mine so I cannot comment on the cost and I would probably score it higher. I have both the ETL and E H Taylor SB(1B?) and I enjoy the Blanton's SFTB and Gold more. Actually part 2 of my trade was Rock Hill Farms which is a stable mate I believe of ETL and it tops that as well IMHO. Fair score and excellent review. @masterj Thank you. I recall, one of those was double-price the Blanton, and the other was not available anywhere I could see, back when I was looking over a period of months. It's interesting to me that @Astroke mentioned Rock Hill Farms, because that was my favorite bourbon I'd tried among a couple dozen-- Which was then precisely what led me to investigate the Blanton line (since I think I'd read they use the same mash? ).